3105 Prepainted Aluminum Sheet will be added to your quote! AED stocks prefinished aluminum sheet in a variety of colors. Typical applications include signage, body panels, pit equipment, and trailers. Sheets are .040" x 48" x 120" and sold by the FULL SHEET only. NEW COLORS - IN STOCK! 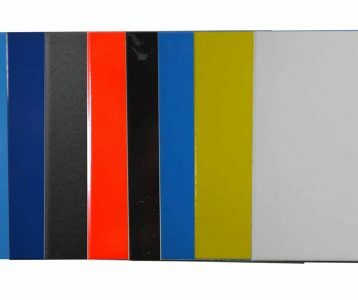 3105 Prepainted Aluminum Sheet will be added to Cart!